Size of this PNG preview of this SVG file: 362 × 362 pixels. Other resolutions: 240 × 240 pixels | 480 × 480 pixels | 600 × 600 pixels | 768 × 768 pixels | 1,024 × 1,024 pixels. Typical layout of a 4 1/2 mat tatami room. 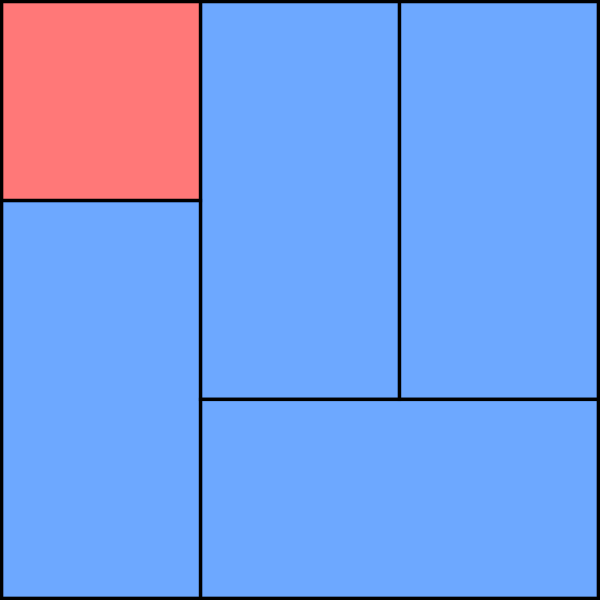 Note that there are no areas where three or more corners meet. This work has been released into the public domain by its author, Exploding Boy at English Wikipedia. This applies worldwide. This page was last edited on 21 May 2013, at 19:22.